I don't remember a lot about forty years ago. I don't remember much about taking the Novice exam, or the name or call of the fellow kind enough to give it to me. But I do remember, in November of 1975, receiving my Novice license. I became WN8WOY. It took months for me to get on the air in June of 1976. I kept that call until the FCC issued me WB8WOY the next fall. I've told many of the details in my Novice Story. 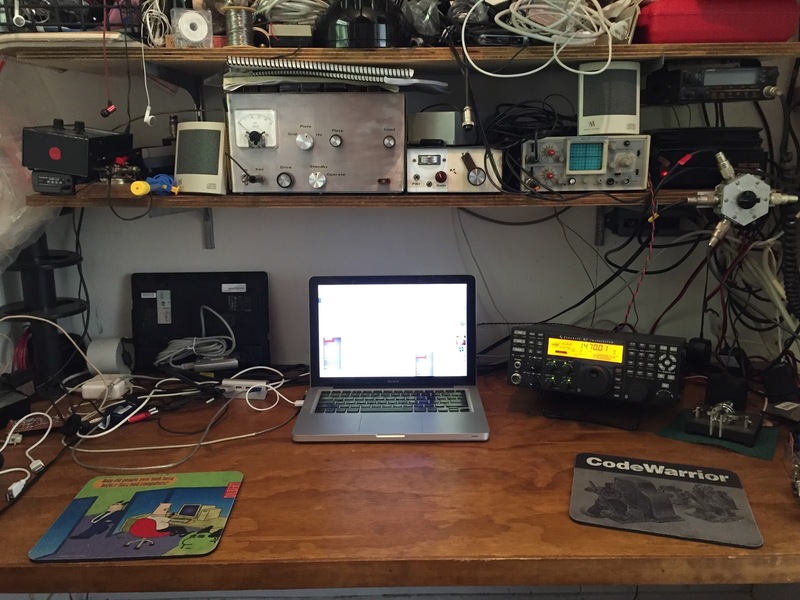 I do remember ham radio being a lot different forty years ago. I was using all tube type gear. 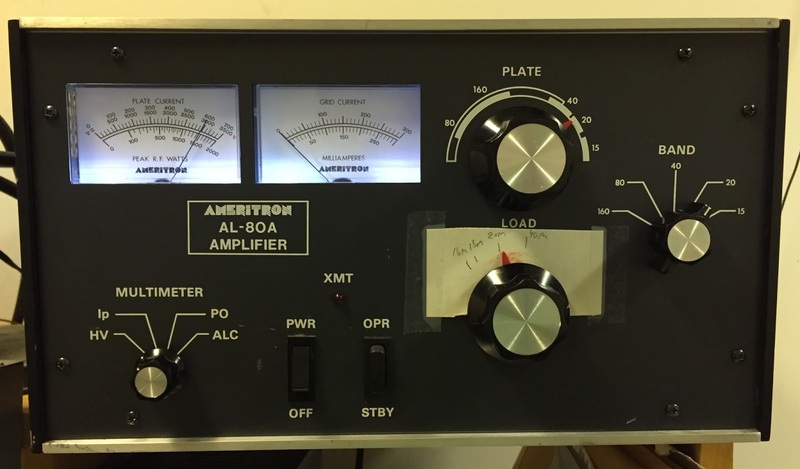 Although all-solid-state gear was available, it was rather uncommon until the early to mid-80s. I remember learning about transistors and tubes at the same time. 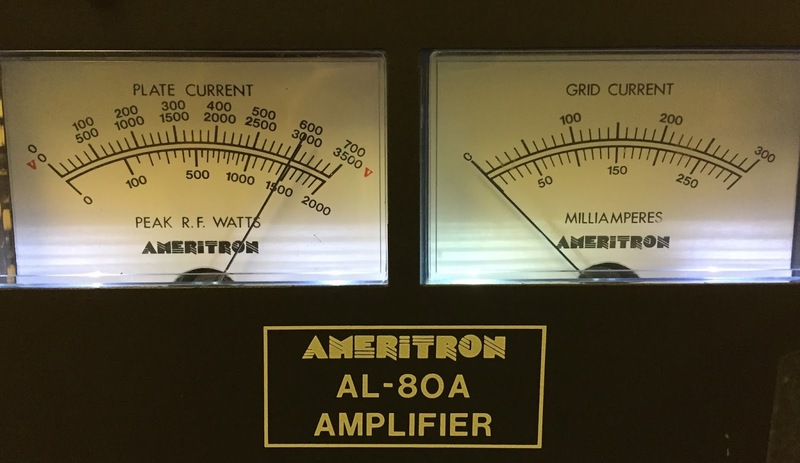 It was easier and cheaper to generate RF using tubes, something that's still true today at the higher power levels. 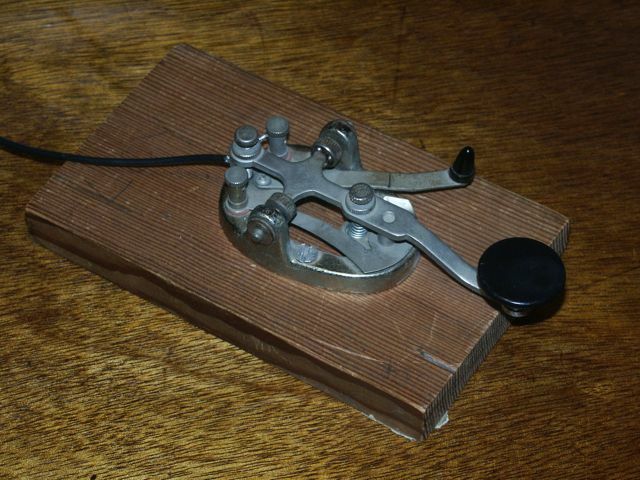 I remember that I didn't have a clue what I was doing with ham radio. I had read a lot of 73 Magazine articles, but that didn't prepare me for actually being on the air, or how to put up reasonably effective antennas. In retrospect, I did a lot of dumb things, and perhaps missed some opportunities. But, I was having fun, and learning as I went along. In those days, I remember working toward the goal of getting Worked All States. I believe I collected cards for about thirty states, but came nowhere close to working them all. Today, I've earned WAS on six bands, and worked all fifty states just last weekend in a contest. I do remember I was quite shy about transmitting, and I did a lot of listening. Perhaps my first decade was much more about listening than transmitting. I also remember I enjoyed building things. I'm glad I still do. 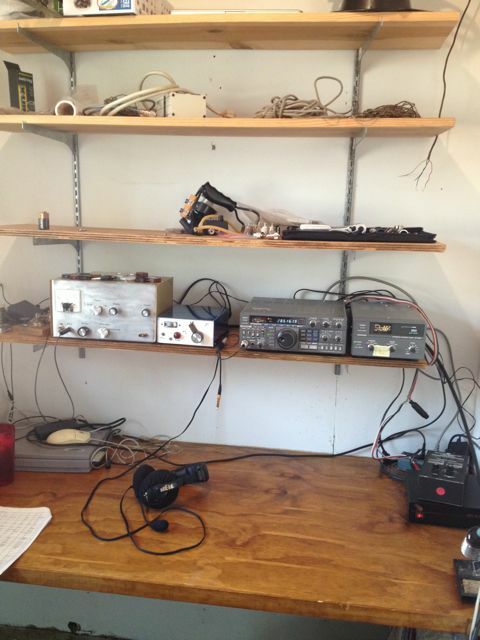 Here's to forty more years of building, learning and enjoying ham radio. I wrote earlier that I was having trouble with my 80m shunt-feed matching network. 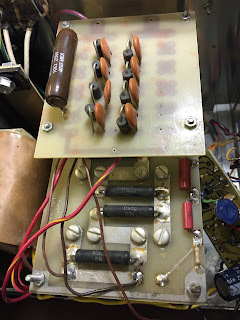 I managed to identify the problem using an enormous variable capacitor, but that was only temporary. As it was, the Bread-slicer obtained several spots of rust for the week I left it outside. I needed a permanent solution. Having nothing in my junk box that was suitable, I found a 80 pF variable cap with reasonable (4 kV) plate spacing on eBay. It would fit into my NEMA box, but just barely. In my earlier hunt for the 80m issue, I had already re-wound the 80m inductor on a T200-2 core with insulated wire. While I was doing this, I realized I had no more T200-2 cores. I was giving idle thought to going to 2 T200-2 cores, as I had for the 160m inductor. Double cores would allow me to use fewer turns, so I could use a larger gauge wire, increasing the inductor Q. While I was shopping on-line, I came across a new product from Amidon. It is variously labelled T200A-2 or T200-2B, but it is essentially a T200-2 core that is 1 inch thick -- the same as stacking two cores together. Needless to say, I bought two. Using the larger core, I went from 38 turns on the T200-2 to only 28 turns on the T200A-2 core. The most difficult part of this exercise was finding suitable wire in the junk box. I ended up using a bright orange 16 gauge wire that had much thicker insulating than I needed -- but it is what I had. The resulting coil was a bit difficult to wind, and I used a couple of wire ties to keep the ends from unravelling. New cap and inductor for 80m. Shoehorning the capacitor and the larger inductor into the NEMA box took some doing. 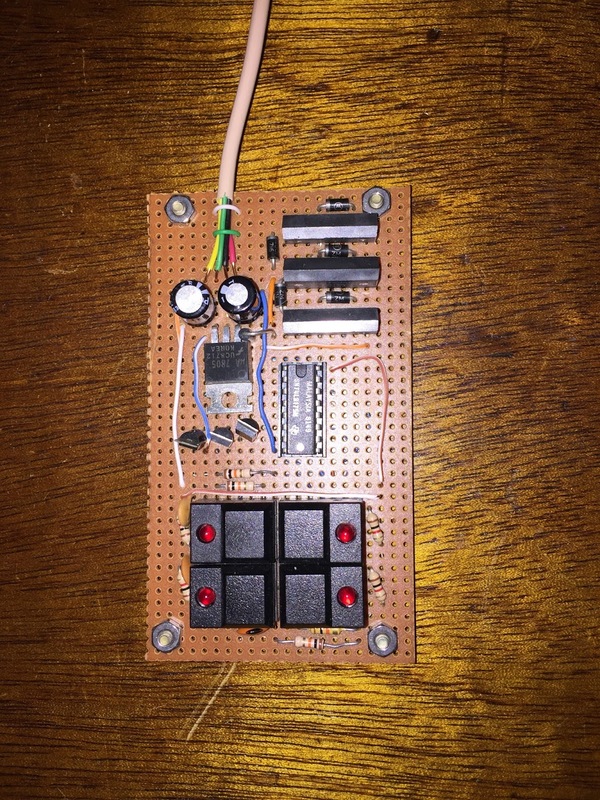 I had to move the relay just to get the capacitor in the box. And the wiring had to be re-done. 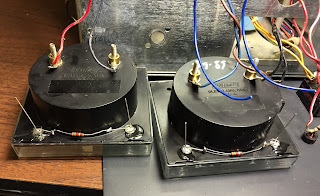 I used two 100 pF 6 kV disc ceramic caps in parallel with the 80 pF variable to get enough capacitance to match. All assembled, it tunes up nicely around 3800 kHz with a 1.1:1 SWR. And the SWR doesn't change at all when going to 100 watts. Perhaps with the new cap and inductor, I could put a few hundred watts through it with no problems. I'll have to wait to fix the AL-80A before I can test that. Next step will be to get the 160m network to tune better, it's a little off lately, I think I need more capacitance. 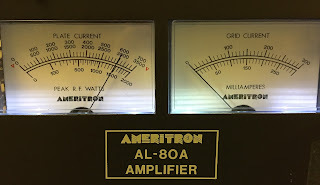 Dual 300 pF variable capacitor. Plate spacing is about 1/2". is BIG. Breakdown voltage is probably around 14 kV. I've been having trouble with my 80m shunt-feed matching network. 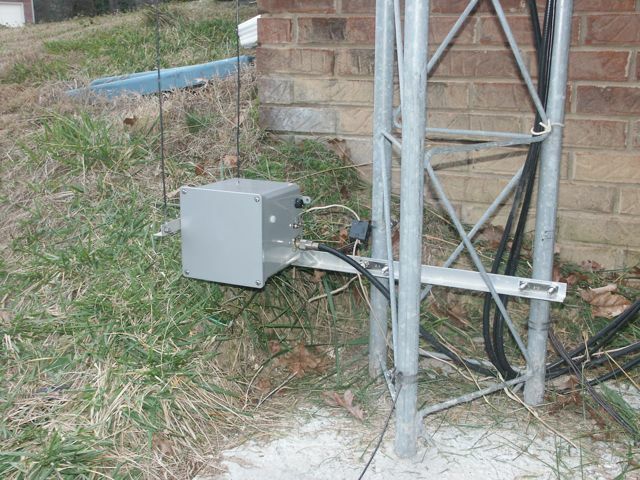 Since I moved from Floyd County, I found that the SWR shifts when I transmit more than about 20-25 watts. The Elecraft K3 will work just fine at it's tuning level of 5 watts and find a perfect match. But, when more than about 25 watts is applied, the SWR shifts. This has made the shunt-fed tower unusable on 80m. This is especially bad, since the tower is my only 80m antenna at the moment in Gwinnett County. I've written about my pursuit of 5-band DXCC. I need an 80m antenna. The question in this case -- what causes the shift? No doubt it is due to arcing. Initially, I thought the 80m network had the same problem as I had on 160m -- that the inductor was arcing between turns. 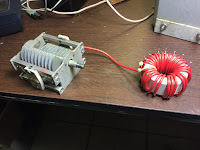 I originally used enameled wire to wind both inductors. 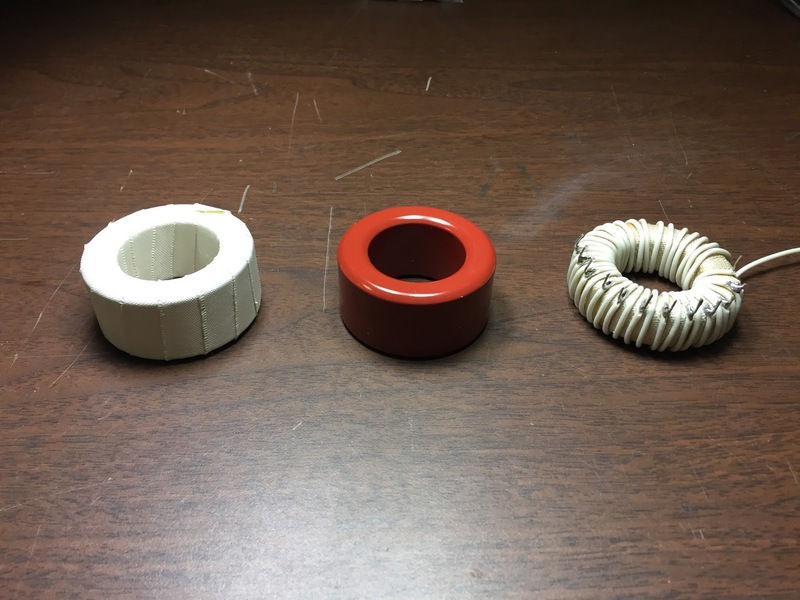 Over time, with the heating and cooling of the coils caused the windings to rub against another, which eventually caused the 160m inductor to arc between turns. I re-wound the 160m inductor with insulated wire back in 2006, right at the start of the ARRL 160m contest. I haven't had any trouble with arcing. It was behaving much like the 80m network was. 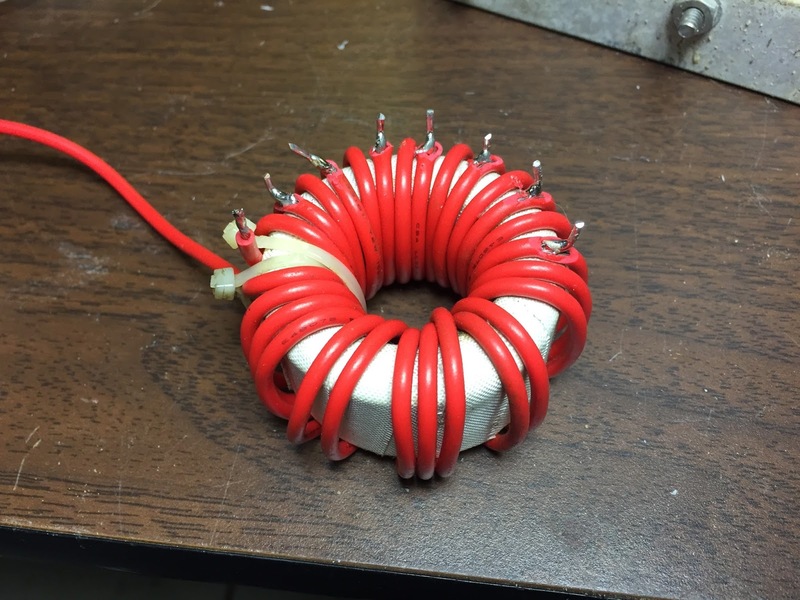 Re-winding the 80m inductor was easy. Unfortunately, it didn't solve the problem. There's not much else to the matching network. It's a simple L network with a series inductor and a shunt capacitor. It might be the capacitor, it might be some part of the switching network. How to find out? What I needed was a capacitor with greater breakdown voltage. The variable capacitor I used on 80m is a 15-250 pF unit that was the plate-tuning cap in a DX-40. A survey of likely substitutes found nothing that suitable in my junk box. I'd need to buy a replacement. But first, I needed to know if the capacitor was the problem. I did have one part in my junk box that I might use. 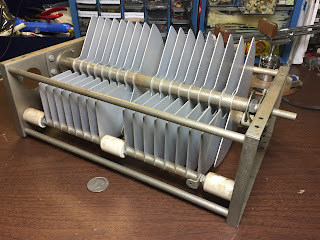 The Bread-slicer. You see, when my friend Mike (now W1YM) moved away from Atlanta, he gave me a whole bunch of ham-related stuff, with instructions to sell off what I couldn't use and fund my tower project. And that's exactly what I did. Among the items he gave me were a couple of very large variable capacitors. One of them was far to small to work -- only about 15 pF max. The other, however, was perfect. It's a dual 300 pF cap with a plate game around 1/4 inch. Breakdown voltage for this cap is over 10 kV. I call it the Bread-slicer, since it looks large enough to slice an entire loaf of bread at once. It would be perfect for a test. knob large enough to fit on the shaft. The problem with this cap is that it is huge. It's literally bigger than a breadbox. 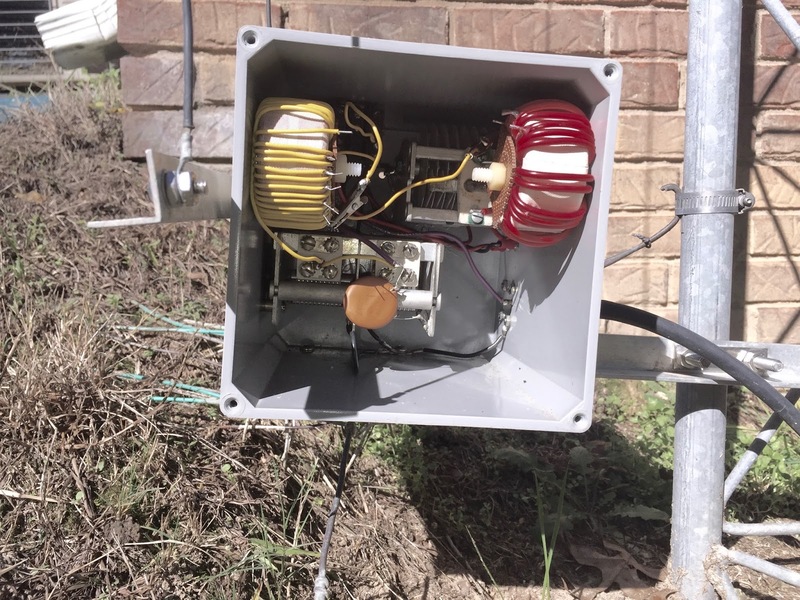 No way it would fit in the 6" cube of the NEMA box that houses the 160m and 80m matching networks. But, it would prove to me if the variable cap I was using was the failing part. 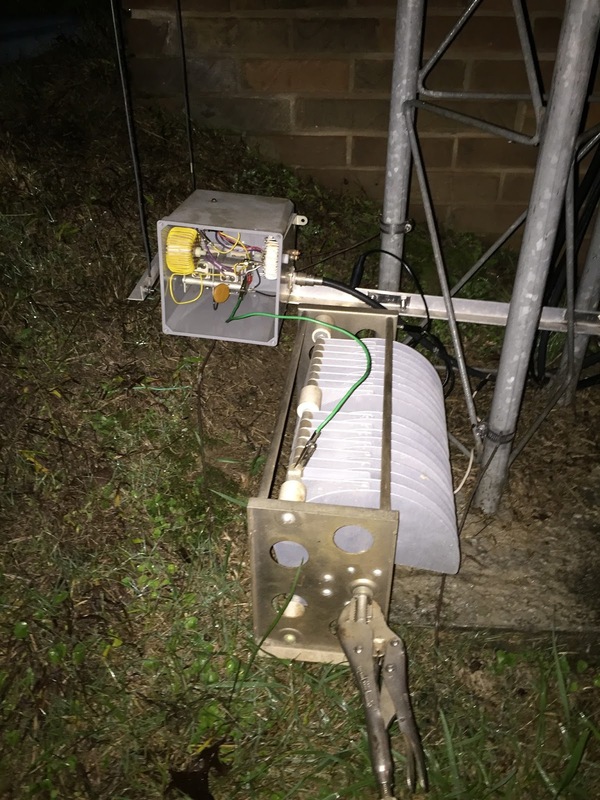 So, one very damp evening this week, I put the matching network back on the tower without the 80m capacitor and jumped the Bread-slicer in the circuit. 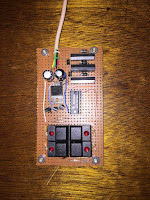 Lacking any knobs large enough to fit on the shaft of this enormous capacitor, I used a pair of vice-grips. With some quick work with the MFJ-259 antenna analyzer, I found a 1:1 match right around 3800 kHz - just as expected. Hooking up the coax and stepping back inside, I tuned the K3 to the 80m shunt-feed, and gave it a quick full-power test. No SWR shifts. Yes, it's definitely the variable capacitor that was arcing. Since I can't use the Bread-slicer on a permanent basis, I've already ordered another part. It's only 80 pF, but has a 4 kV breakdown voltage. And, it should fit in the NEMA box. Once I get it, we'll see how well it works.